Need office speakerphones for crystal-clear communication in your client meetings and catch-ups? 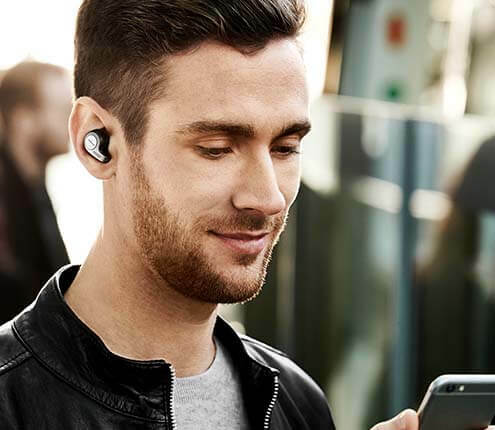 The feature-filled Jabra Speak series makes conference calls easy with intuitive interfaces, multiple connectivity options such as Bluetooth® and superb sound quality. Not just for desk phones, you can enjoy incredible audio even when you're on the move and take your Jabra speakerphone with you wherever you go. 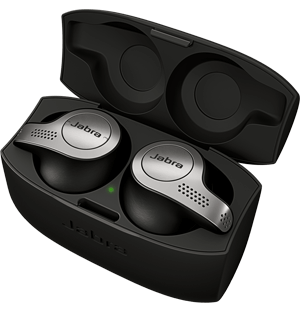 Fully compatible with your cell phone (whether that's an Android handset or an iPhone), you'll be able to jump onto that all-important conference call or connect with a client easily thanks to the Jabra Speak Series. Using a speakerphone with your cell phone is a fantastic way to ensure every call you make will benefit from the same consistently high sound quality. Built-in microphones intelligently focus on your voice, rather than the noises behind you, while in-room coverage can support up to 15 people - ideal if a group of you need to communicate quickly with colleagues back in the office.